Avant Tecno USA is showcasing its multi-functional loaders at World of Concrete 2019. Avant, manufactured in Finland, is well-known in Europe and in more than 50 countries worldwide. The North American team will be showcasing Avant’s Electric E5, 500, 600 and 700 series loaders along with various attachments suited for professionals in construction, demolition and landscaping. 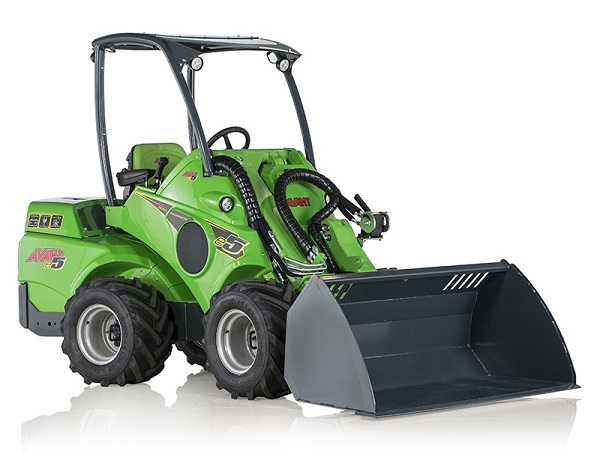 The Avant articulated, compact loaders are truly multi-purpose, multi-functional machines. With hundreds of attachments to choose from, there is a solution for every market segment. construction projects. But, performing one task is not in Avant’s DNA. Quickly change attachments with Avant’s unique attachment coupler and hydraulic multi-connector. In seconds, you can release the hydraulic breaker attachment and hook up a heavy-duty bucket to carry the debris away. The compact and lightweight styling of the Avant also makes it ideal for work inside buildings. Avant loaders can be lifted onto the roof, take the freight elevator to the basement, and generally perform construction and demolition tasks in tight spaces that usually requires manual labor. The hydrostatic drive system, offset telescopic boom providing great visibility, and multi-function joystick give you full precision control for the best possible results. Avant’s five model series offer the same compact, articulated, multi-purpose solutions for many types of projects in every season. These versatile machines have multiple cab options, provide excellent lift to weight ratio, and offer low operating and maintenance costs.